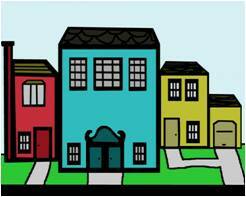 Do You Have The Best Neighborhood Data Tools To Impress Sellers And Attract Buyers? In a National Association of Realtors survey of home buyers, 78% said the quality of the neighborhood was a top priority for them, even more important than the size of the house. So why aren’t brokers and agents using more neighborhood data tools to sell homes? What are neighborhood data tools? Neighborhood data tools for real estate professionals would be any features or products that help brokers and agents better illustrate the amenities of the community surrounding any property. Let’s face it. In this day and age when you can carry access to nearly all the information in the world in a little device in your pocket, telling a prospective home buyer “Yes, they have quality schools here” or “Sure, this is a great neighborhood” just won’t cut it. First of all, a seller certainly doesn’t want to see that cavalier approach to the marketing of their precious home. If they live near first-class schools, they want an agent to be able to show that prospective homebuyer all the details about those schools. Student/teacher ratios. Demographics. And more. If the seller lives in a desirable neighborhood, they want you to show prospective home buyers all the great amenities about that area. That would include the Zagat-rated restaurants, the number of tasty coffee places, the popular pilates studio or that fantastic golf course down the road. In fact, if you want to capture that listing, you will show the seller all the neighborhood data tools that you will employ to emphasize the great benefits of the location, in addition to the home itself. If the seller has a small home, you can also cite the NAR study that says size really doesn’t matter – it’s neighborhoods. If the seller doesn’t appear to live in the greatest neighborhood in the county, these neighborhoods tools will be extremely valuable in putting together a package of amenities that can make this area sound just as appealing as Rodeo Drive in Beverly Hills. Sure, this home might be located out in the hinterlands. It might appear to be removed from the quaint downtown area that is so popular. But, perhaps there is a fantastic restaurant hidden around the corner over here. Down the street there is an up and coming yoga studio going up in a new retail complex over there. The boundaries for school attendance might be changing to include higher rated schools. In essence, with these tools, an agent can create the image of a desirable neighborhood out of scratch. So, what are these awesome neighborhood data tools that we are talking about? Property data. Property data offered by seasoned and reputable suppliers such as Home Junction that uses Big Data technology to gather a ton of relevant property information from a variety of sources. School data, business data, demographics, boundaries, cost of living indices. To go even further – Home Junction offers geospatial technology to integrate all of this neighborhood information into a map. So when talking to a prospect about the benefits of a particular neighborhood, an agent or broker doesn’t have to give a half-hearted pitch that “Yea, this is a great neighborhood” but can walk a prospect through the amenities one by one. If you look at this map, you can see how the property you are interested in is within walking distance of this top-rated middle school. Mrs. Skeptical Home Buyer, you said you like to take your baby for a walk in a baby carriage. Well, again, if you look at this map, you can see there is a beautiful park just around the corner where you can go for a walk every day and perhaps meet other mothers with the same interests. Here are two key points. Don’t Assume – in this day and age, you cannot assume every person knows of every amenity in every neighborhood. What about people who are relocating and know very little about the area? Repeat the Amenities for Emphasis – when presenting a home to a potential buyer, there are a million thoughts going through their heads. Do I like the look of this house? Is this the kitchen I want? Is the backyard too small? Are the windows in the master bedroom too big? Etc., etc. An agent can nullify many negatives by reminding the prospects, with the neighborhood data integrated into the map on their website, that sure, one bedroom might be kind of small, but just around the corner is a great daycare. Right across the street from there is a great coffee house. And of course, the new Whole Foods Store is under construction just three miles down the road. It’s amazing what the sound of those amenities can do for someone who is struggling with the features of a house. All of a sudden, the small size of those closets don’t seem as important anymore. Neighborhoods sell. Neighborhood data tools do a better job of selling neighborhoods. This is something your client will like to see if you want their listing. This is something a home buyer will want to see if you want them to purchase that listing. Big data technology makes it all easy to do. If an agent or broker were to try to gather all this data on their own, it would be impossible (and to keep it current would be unimaginable). This neighborhood data is already gathered in a neat package from providers such as Home Junction and all an agent has to do is set aside sections of their website to display it. https://www.homejunction.com/wp-content/uploads/Homejunction-logo.png 0 0 Bob Caston https://www.homejunction.com/wp-content/uploads/Homejunction-logo.png Bob Caston2018-02-06 16:22:222018-02-06 16:22:40Do You Have The Best Neighborhood Data Tools To Impress Sellers And Attract Buyers?